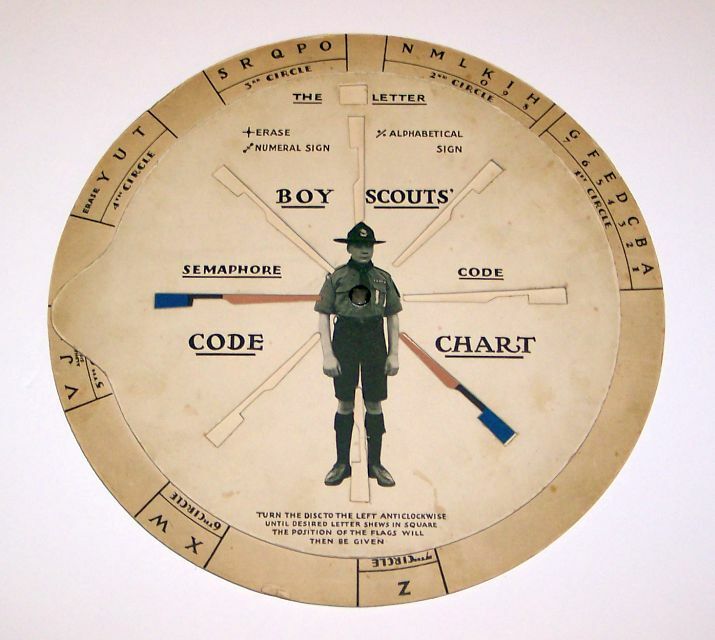 Click for larger photo Source: Personal Collection Boy Scout Code Wheel - 1931 Boy Scout code wheel made by F. Pitchford and Co in Great Britain. Codewheel measures about 10 inches in diameter. 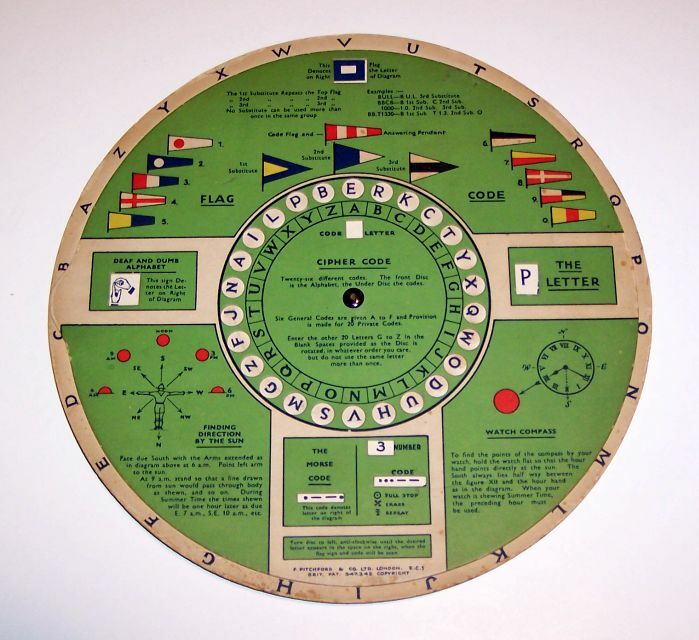 Also containts semaphore flag patterns, Morse code, watch compass. Here is a photo of the obverse of the code wheel. I have researched for more information on this item as it has British Patent number 347,342 and it would date it at 1931 which would make some sense. However when I look this british patent number, it describes something that is entirely different than this codewheel. 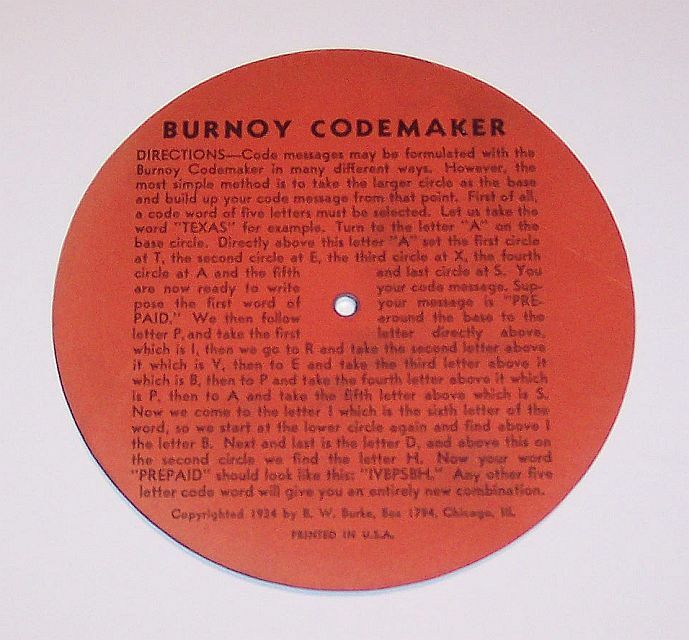 Click for larger photo Source: Personal Collection Burnoy Codemaker - 1934 The Burnoy Codemaker was made by the B.W. Burke company. 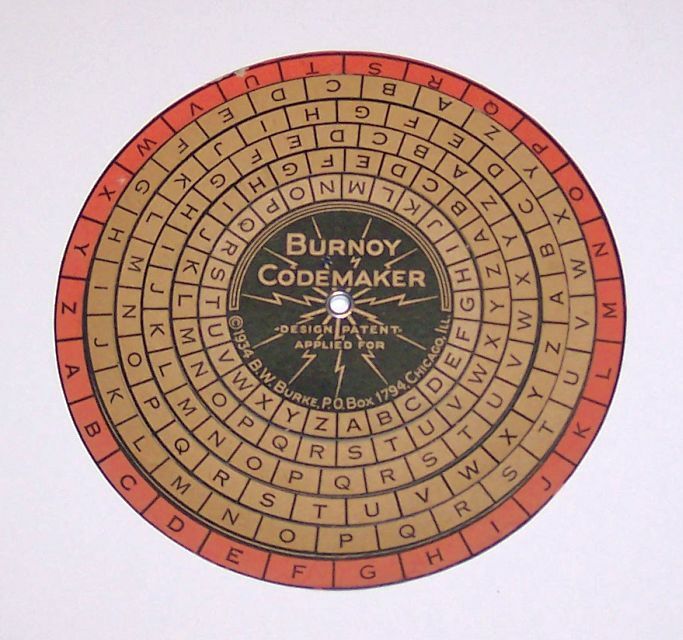 Codemaker has 6 concentric cardboard disks for a total diameter of about 5 inches. Here is a photo of the obverse with instructions on its use. If anyone has information on Burnoy, it would be much appreciated. 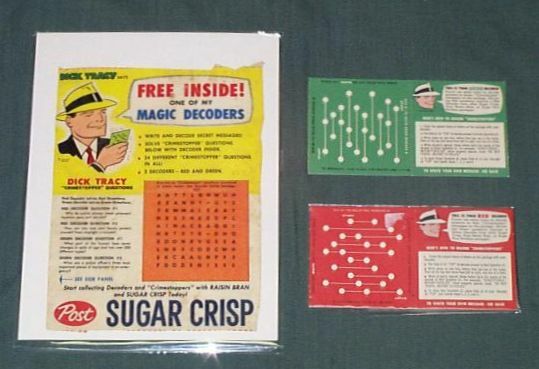 Many cereal, bread and beverage companies had decoders made as premiums in the 1930's. 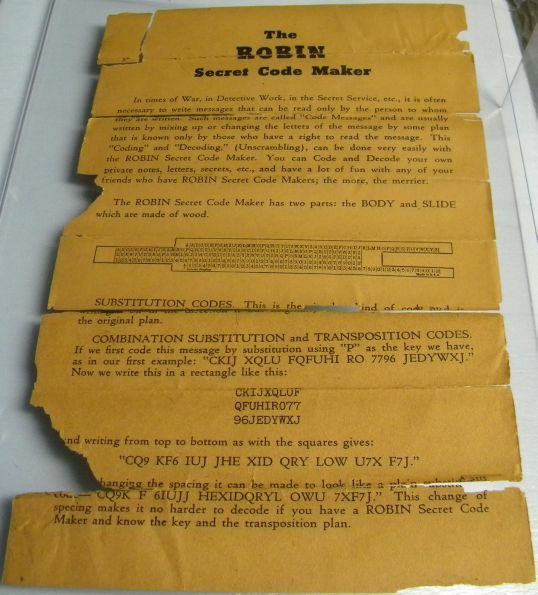 Click for larger photo Source: Personal Collection The Amazing Spiderman Codebreaker - 1980 Manufactured by Gordy International and includes very nice plastic coder/decoder disc on cardboard backing for the 10 digits and 26 letters of the alphabet. 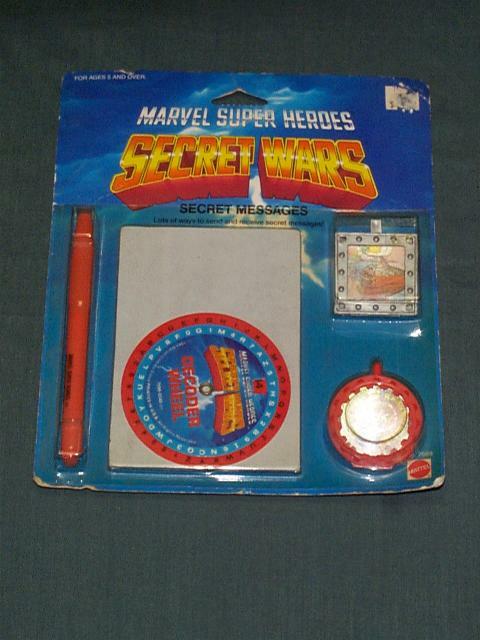 Click for larger photo Source: Personal Collection Marvel Super Heroes Secret Wars - Secret Messages - 1984 Produced by Mattel and includes good quality cardboard coder/decoder disc for the 10 digits and 26 letters of the alphabet. 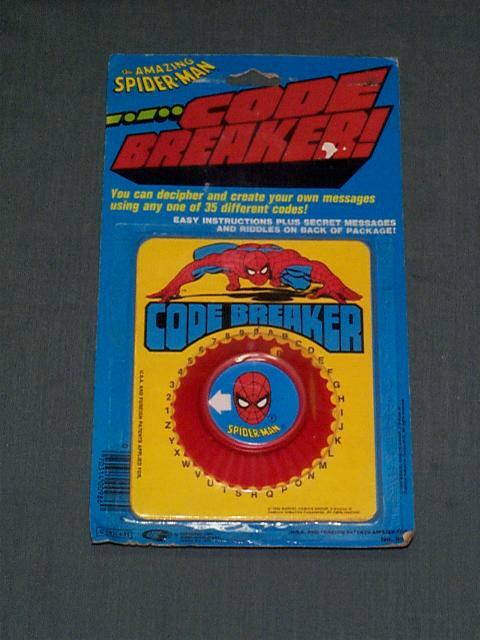 Click for larger photo Source: Personal Collection Spiderman Code-Decode Wheel - 1984 Good quality cardboard stock coder/decoder disc with cardboard instructions. 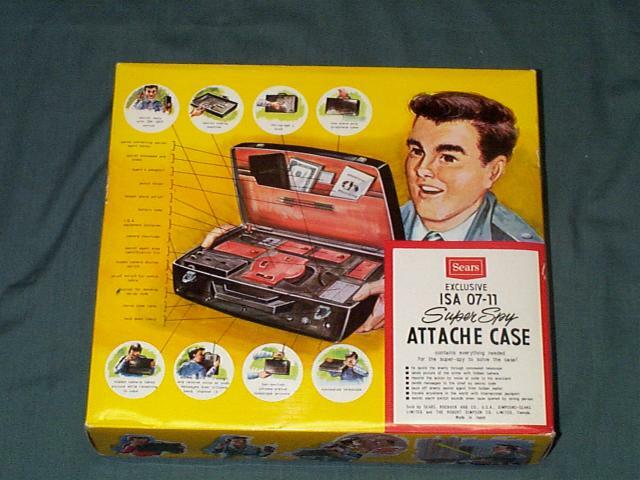 Click for larger photo Source: Personal Collection Sears ISA-07-11 Super Spy Attaché Case with Decoder Disks - 1967 Comes complete with plastic coder/decoder wheel integrated in the case itself and also a functionally identical cardboard coder/decoder. Here is a photo of the cardboard box. 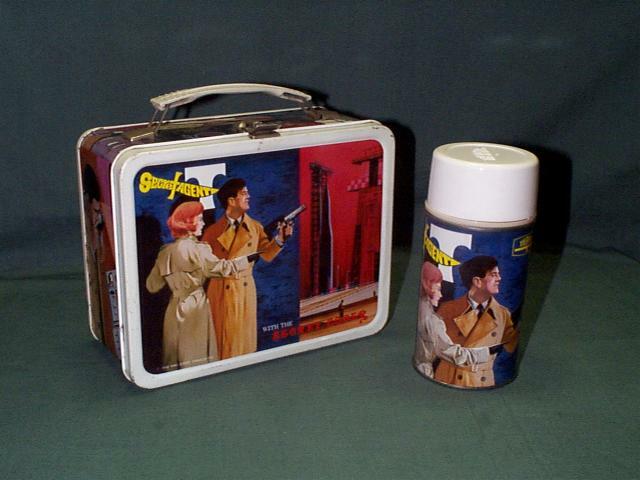 Click for larger photo Source: Personal Collection Secret Agent Lunchbox and Thermos with Decoder Disk - 1967 Comes complete with original thermos and lunchbox including the magnetic concentric inner disk for the coder/decoder on the lunchbox. 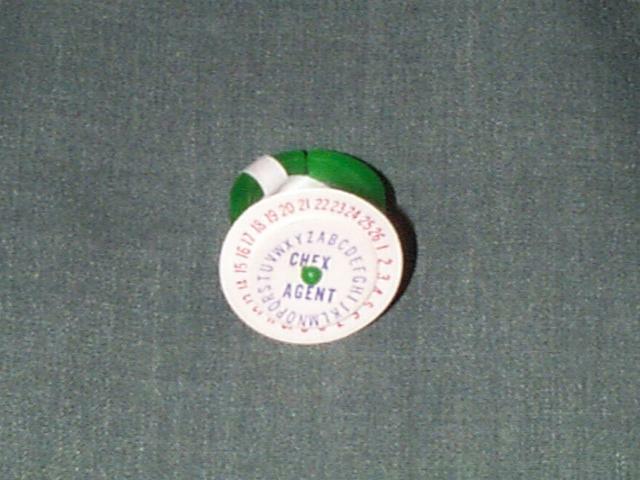 Here is a photo of the coder/decoder. Photo of the back of the Wheat Chex cereal box offering this premium. Photo of the back of a Post Raisin Bran cereal box offering this premium. 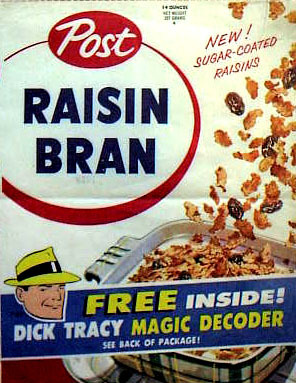 Photo of the front of a Post Raisin Bran cereal box offering this premium. 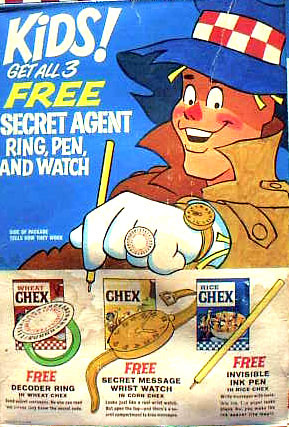 Audio clip of late 1930's radio episode along with a commercial on the Quaker cereals and a secret code (Prisoner 8 18 23 16 8 8 13)! Wikipedia website on serial films. Lawrence Slide-Rules profile of products. 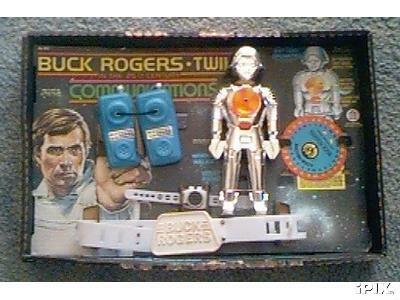 Click for larger photo Source: Personal Collection Buck Rogers & Twiki Communications Set - 1979 This communications set was made by H.G. 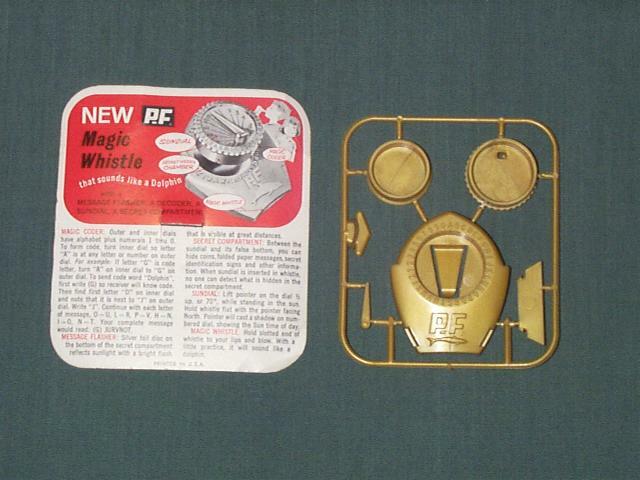 Toys Inc and came with a cardboard decoder disk along with a communications belt and other accessories. No other information found on the web. Happy Soup Club Certificate on top of TV in one of the photos. Website on Indiana Jones with display of many decoder cards. Click for larger photo Source: Personal Collection McDonald's Code Card - 1980's As part of McDonald's many promotions in the mid 1980's. Click for larger photo Source: Personal Collection Top Secret Dossier avec roue codeuse - 1992 Accompagné d'une trousse d'articles qui facilitent les transactions d'informations secrètes. Website on P.F. Flyers decoders. Click for larger photo Source: Personal Collection Alex Under Cover - Secret Code Kit - 1990's Secret Code Kit in a box for children ages 8 and above. 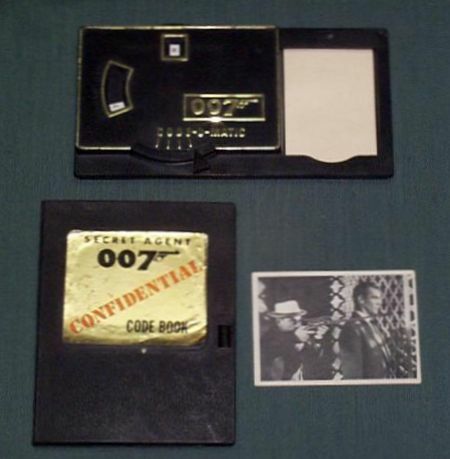 Updated versions of this "Alex Under Cover" code kit still being sold on the web. 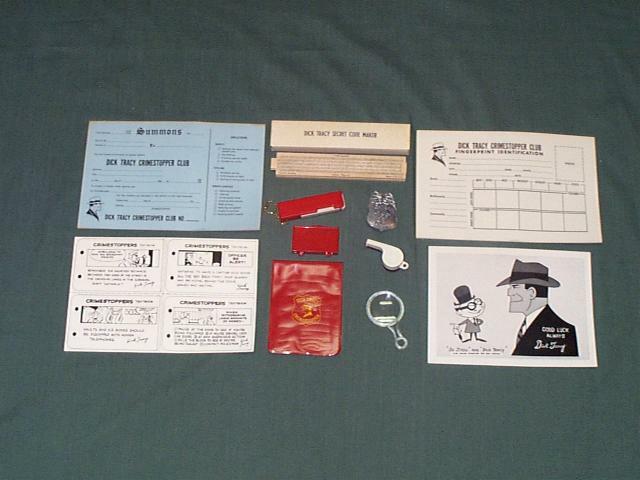 Click for larger photo Source: Personal Collection Alex Under Cover - Detective Activity Kit - 1990's Secret Code Kit in a box for children ages 8 and above. 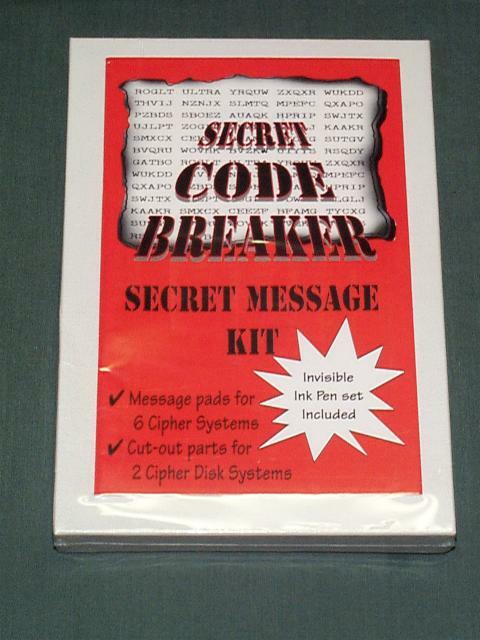 Updated versions of this "Alex Under Cover" code kit still being sold on the web. Click for larger photo Source: Personal Collection Wendy's Bruno the Kid Decoder Pencil - 1994 Plastic coder/decoder pencil promoted by Wendy's in the mid 1990's. Thank you Dr. Welsh! 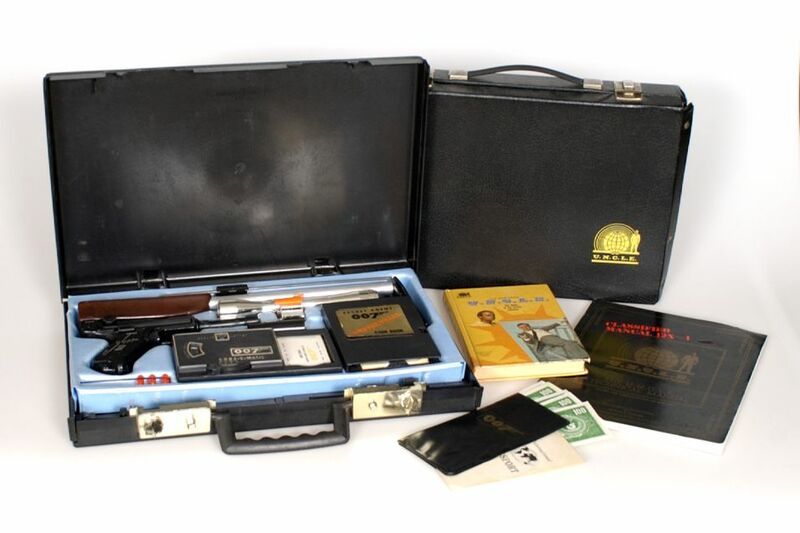 Click for larger photo Source: Personal Collection Spy Master Code Kit - 1990's This kit includes a scytale amongst other items. Updated versions of this kit still being sold on the web. 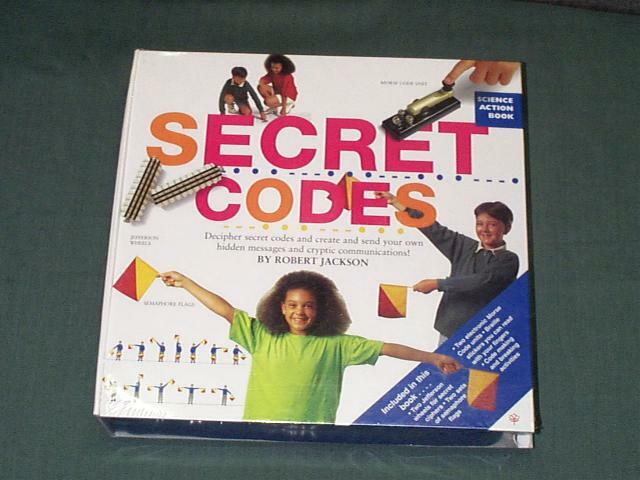 Click for larger photo Source: Personal Collection Secret Codes Code Kit by Robert Jackson - 1990's This kit includes semaphore flags, small book on codes, a pair of Jefferson plastic decoder wheels/cylinders. Likely still available for sale on the web. 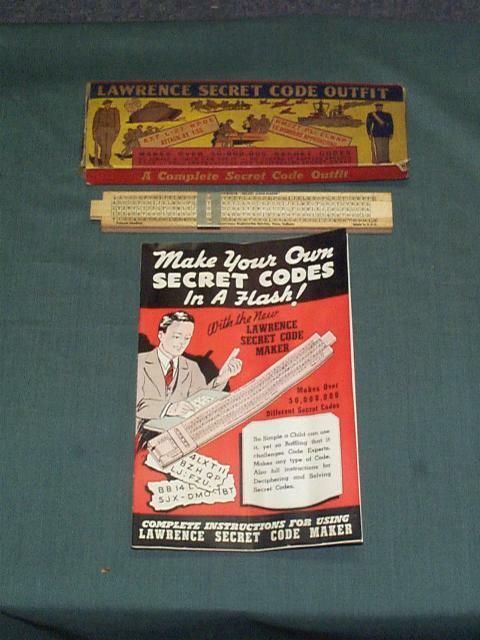 Click for larger photo Source: Personal Collection Secret Code Breaker Secret Message Kit - 1990's This kit includes slide-rule kits for assembly and software. Likely still available for sale on the web. Website on Batman Bubble-Gum Cards. 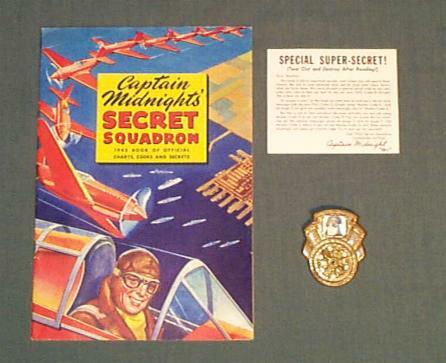 Click for larger photo Source: Personal Collection Superman Secret Code Card - 1948 Here is a photo of the back of the card with code. No other concrete information on the web. Website with excellent photo of three of these decoders. 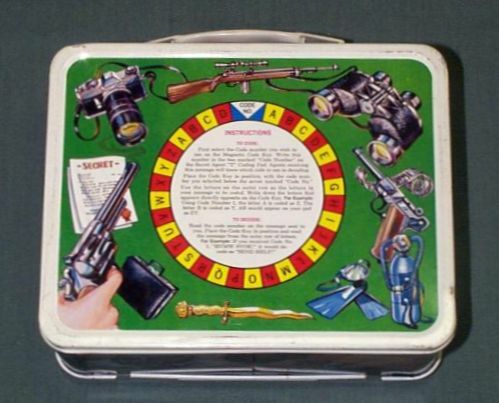 Website with excellent photo of back of cereal box with spy kit offer. Wikipedia website of the A.C. Gilbert Company. 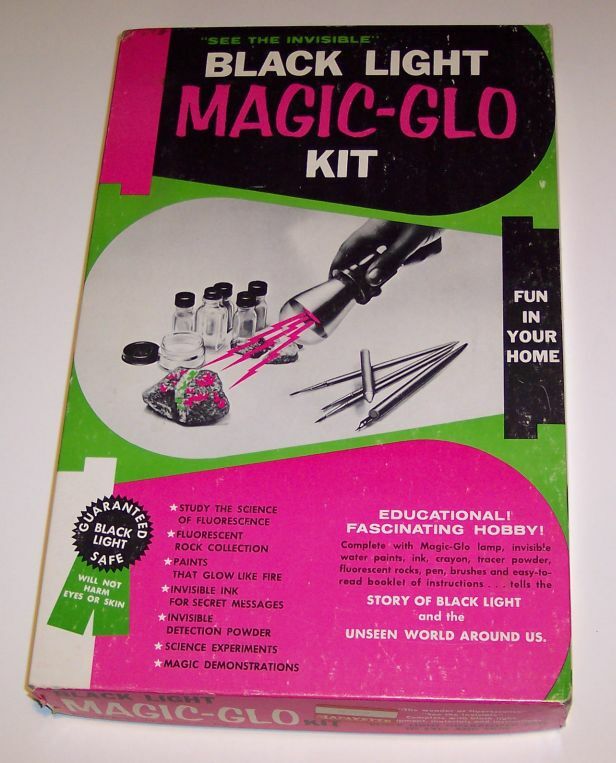 Click for larger photo Source: Personal Collection Black Light Magic-Glo Kit - 1963 Kit comes with manual and includes numerous black light experiments including some on invisible ink for secret writing, invisible detection powder, etc. Manufacturer is Black Light Eastern Corporation in New York. 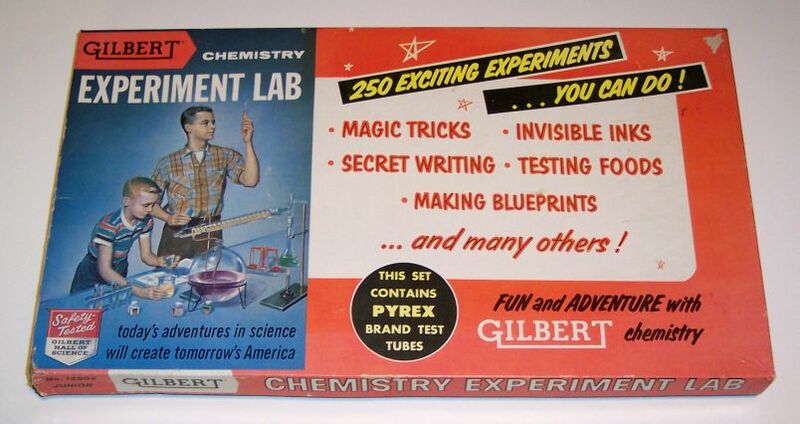 There are a few websites that refer to the company in terms of advanced research but nothing of substance to this Magic-Glo kit. Website on Nancy Drew collectibles. 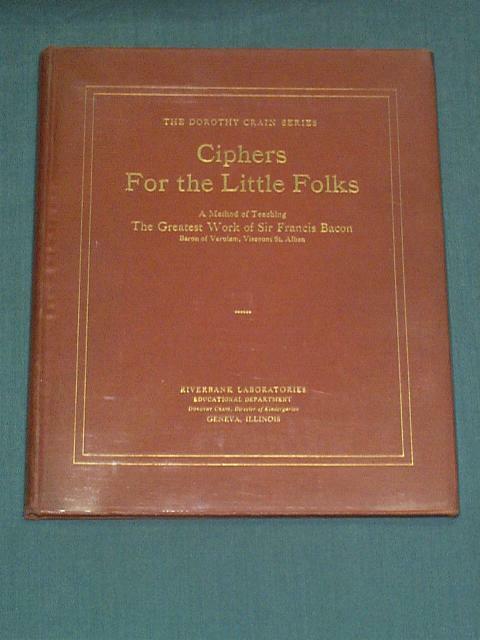 Website on Dorothy Crain and her publications. 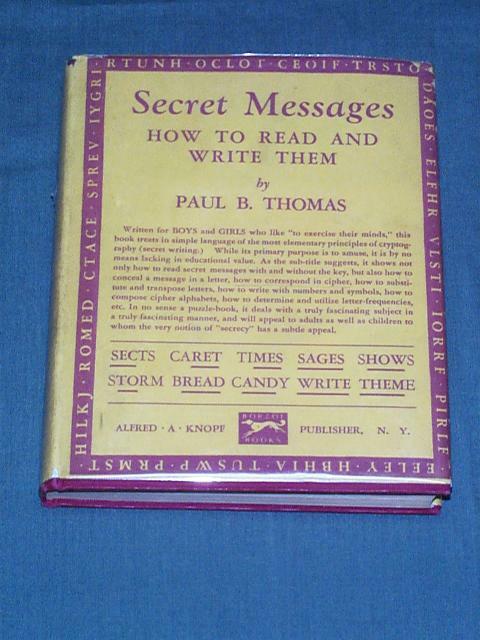 Click for larger photo Source: Personal Collection Book "Secret Messages - How to Read and Write Them" - 1928 Written by Paul Thomas and published in 1928, this book was intended to interest and teach young adults on the use of codes and ciphers! 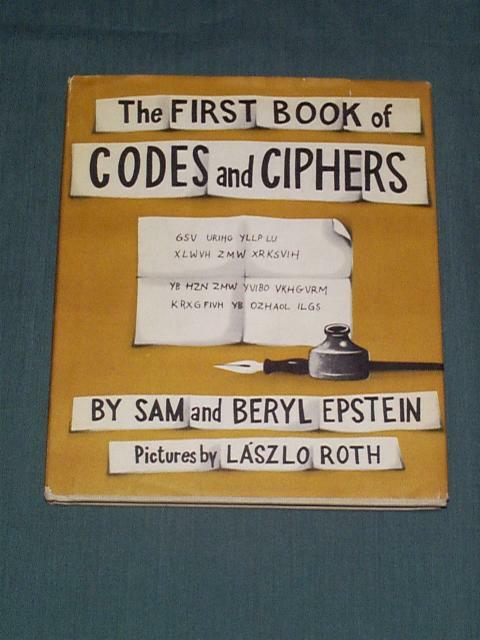 Click for larger photo Source: Personal Collection Book "The First Book of Codes and Ciphers" - 1956 Written by Sam and Beryl Epstein. Click for larger photo Source: Personal Collection Article on Cryptography in Family Creative Workshop - 1976 Entry written by Barbara Harris and which is an 8-page section of Volume 5 from a series titled The Family Creative Workshop. Click for larger photo Source: Personal Collection Book Codes and Secret Messages - 1970 Written by John Peterson. Click for larger photo Source: Personal Collection Book The Secret Code Book - 1995 Written by Helen Huckle. Click for larger photo Source: Personal Collection Book The Spy Code Handbook - 1992 Written by Duncan Ball & Ian Ball. 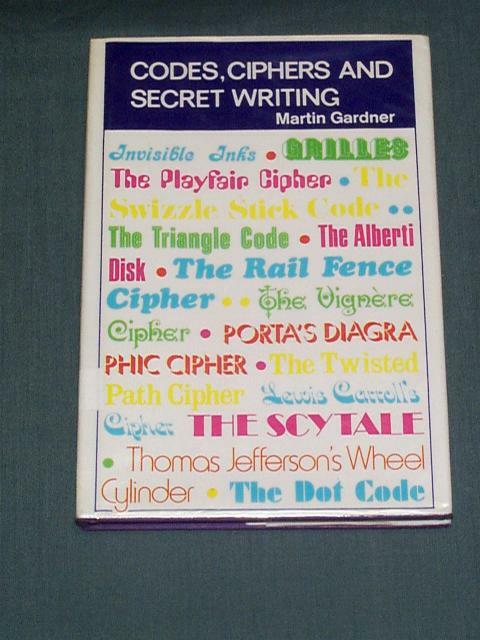 Click for larger photo Source: Personal Collection Book Codes, Ciphers and Secret Writing - 1972 Written by Martin Gardner. Click for larger photo Source: Personal Collection Book Loads of Codes and Secret Ciphers - 1984 Written by Paul B. Janeczko. Click for larger photo Source: Personal Collection Books CodeMaster Books #1 and #2 - 1998 Written by Marvin Miller. 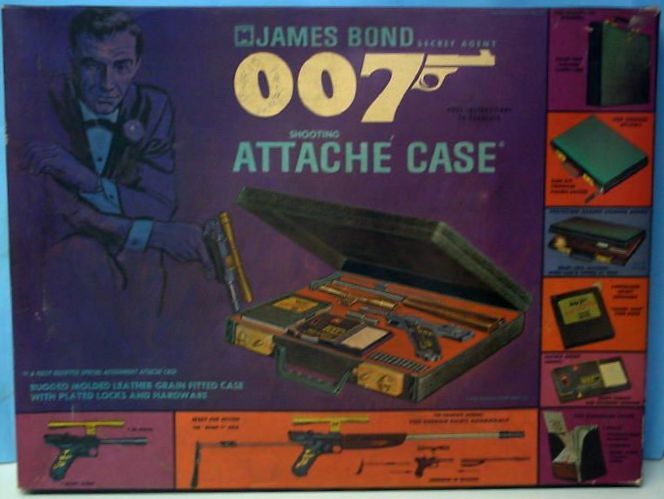 Click for larger photo Source: Personal Collection Book Spy Science - 1996 Written by Jim Wiese. 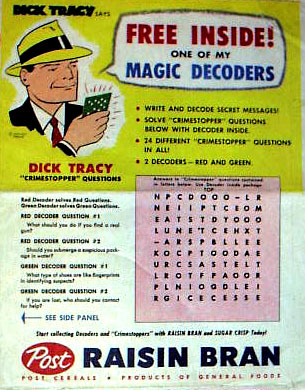 Click for larger photo Source: Personal Collection Book Codes & Ciphers - 1994 Written by Mark Fowler and Radhi Parekh. 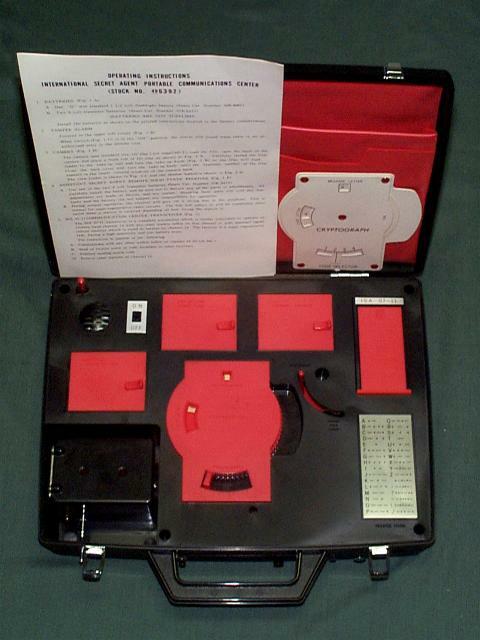 Click for larger photo Source: Personal Collection Book Secret Codes, Signals and Ciphers - 1989 Written by E.A. Grant. 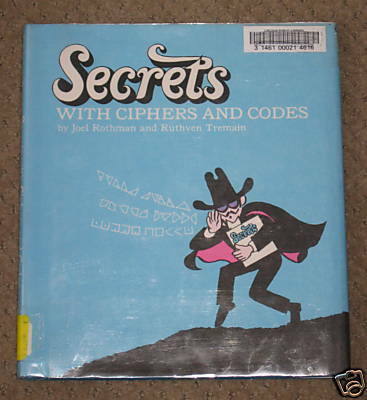 Click for larger photo Source: Personal Collection Book Secrets with Ciphers and Codes - 1969 Written by Joel Rothman and Ruthven Tremain. Published by MacMillan Publishing Co.